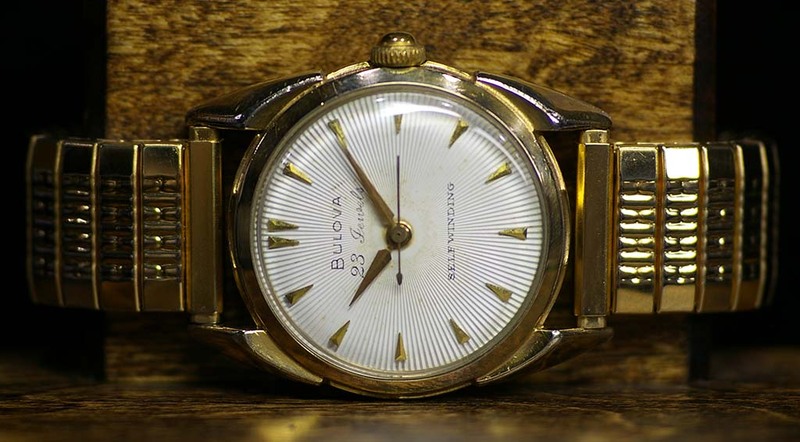 This Bulova self-winding 23 jewel wristwatch was repaired. The movement was disassembled, cleaned and lubricated. 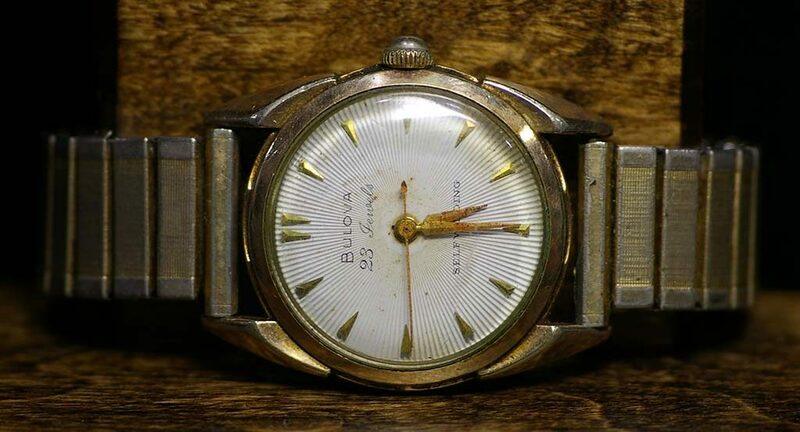 Corrosion and rust were removed from the case and watch. The balance was poised, timing washers installed. 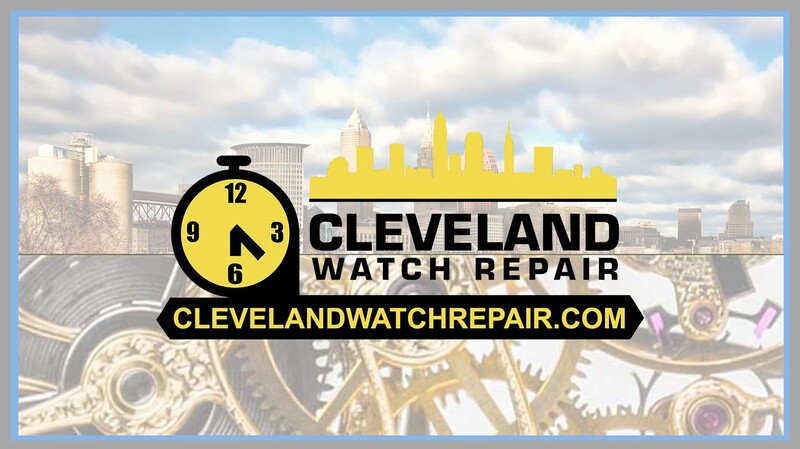 Cleaned case and replaced watchband. Installed new seal. Placed on extended testing. Repair complete.